Every year, when that cold January wind begins to blow, Mainers firmly resolve to do more of the things that are wicked good for us and less of those that aren't. Every year, when that cold January wind begins to blow, Mainers firmly resolve to do more of the things that are wicked good for us and less of those that aren’t. This soul-searching tradition dates back 4,000 years to ancient Babylon when, in mid-March, Babylonians planted their crops, crowned a king and made promises to the gods in return for fertile soil and their good favor. When Julius Caesar came along, he changed the calendar from lunar to solar and moved New Year’s Day to Jan. 1. Apparently, being emperor meant redefining the nature of time and telling people to sacrifice more. For the Romans, the sacrifice was literal. They believed that Janus, the god who lived in arches and doorways and whom the month of January is named for, could look back into the past and ahead into the future. In an effort to please Janus, the Romans offered sacrifices (think rams, goats, young virgins) and promised not to kill anybody for the rest of the year. With the onset of Christianity, the first day of the new year became a time for reflecting about one’s past mistakes and resolving to avoid them in the future. Today, New Year’s resolutions are less about pleasing deities and more focused on self-improvement. 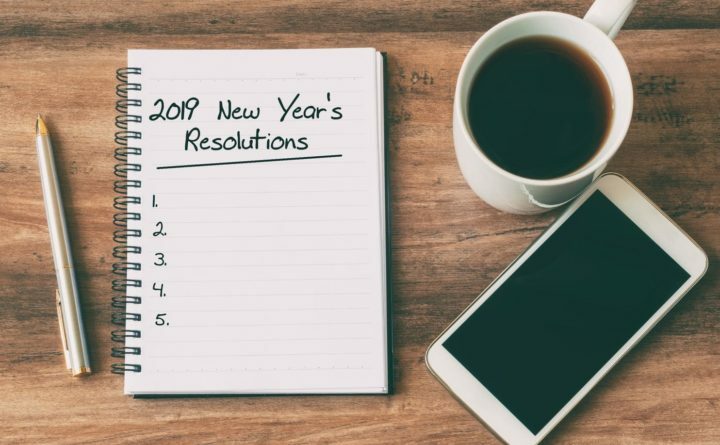 According to recent research, even though nearly 45 percent of Americans report making New Year’s resolutions, only 8 percent claim to have achieved them. The reason for the discrepancy between aspirations and outcomes boils down to one basic problem: burnout. Take, for instance, the world’s most common resolution – losing weight. This is a grand resolution, but going on a five-day bouillon broth diet isn’t as grand. Usually, the more drastic our approach, the more discouraging our results. Instead of patiently researching diets that are right for us and committing to exercise plans that don’t involve every muscle in our bodies revolting, we go into starvation mode and Olympic training simultaneously. And that’s where we fail. We’ve become as crazed as our sheep-slaughtering ancestors. Instead of logically working through our problems and how best to solve them, we pin our hopes on the quick fix. When sacrificing ourselves doesn’t work (or isn’t sustainable) we get discouraged. Then, instead of rethinking the bouillon broth experiment, we concede defeat and feel further from our ideals than ever. In the end, accomplishing new goals isn’t about what we resolve to do; it’s how we resolve to do it. The most successful resolutions are well thought-out action plans that replace bad habits with good ones. When those practices become routine, when we anticipate and work through discouragement (because that’s also part of the process) then we’ll have proved how far from ancient Babylon we’ve really come.